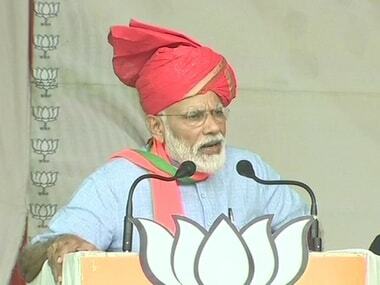 Kathua: Prime Minister Narendra Modi on Sunday slammed the Abdullahs and Muftis, saying two families had "ruined" three generations of Jammu and Kashmir and he will not allow them to "divide" India. The Abdullah and Mufti families have "ruined" three generations in the state. "They laid siege to the state for three generations. 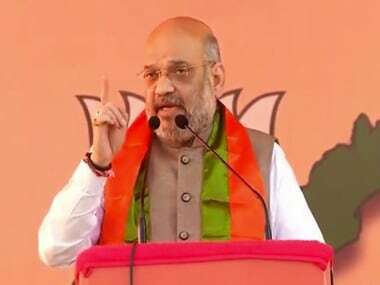 For the better future of the state, they need to be voted out," he told a public rally in Kathua. 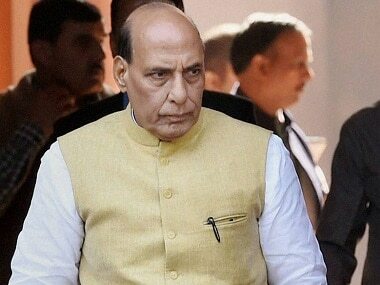 The bright future of Jammu and Kashmir can be ensured only after their departure. They can bring their entire clan into the field, can abuse Modi as much as they want, but they won't be able to divide this nation, the prime minister said. 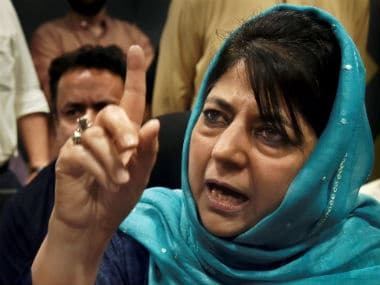 Campaigning for Minister of State for the PMO Jitendra Singh, who is seeking re-election from the Udhampur Lok Sabha seat, the prime minister said people in Jammu and Kashmir voted in large numbers in the first phase of the polls and "rattled" terrorist leaders, opportunists and demoralised the "mahamilavat" alliance. Modi said, "You have proven the strength of democracy in India, in the first phase of elections". Lashing out at the Congress, the prime minister said, "Congress had been infected with germs. The grand old party's manifesto promise that AFSPA will be removed from the state if they come to power to demoralise the security forces". "Can a patriot speak like this? Shouldn't our security forces have a safety net," he asked people at the rally. Modi accused the Congress of politicising the Jallianwala Bagh Centenary. "The vice president was at Jallianwala Bagh for the government event. He paid tribute to martyrs but the Congress chief minister was not there", he said, claiming that nationalism was an insult for the Opposition. The Punjab chief minister, he said, had insulted the Jallianwala Bagh memorial by not attending the government's memorial on the day of the centenary. Modi said he can understand the kind of pressure on Amarinder Singh. "I have known Captain Amaridner Singh for a long time. I have never raised a question on his patriotism. I can understand the kind of pressure that must have been put on him for this kind of 'parivar bhakti", Modi said. 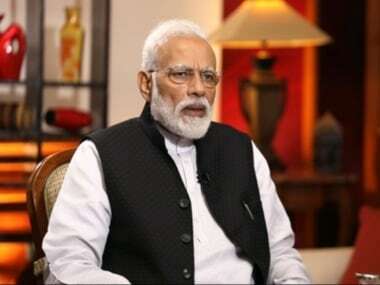 Referring to doubts raised by the Congress on the 2016 surgical strikes and IAF strikes in Balakot, he claimed that the Congress has never trusted the Indian armed forces. "For the Congress, the army is only a way of earning money," Modi said. Hitting out at the Congress for the migration of Kashmiri Pandits from the Valley, Modi said the BJP is committed to bring the community back to their land. "The policies of Congress were responsible for Kashmiri Pandits leaving their homes in the Valley", he said. "The Congress was so concerned about their vote bank that they pretended not to see atrocities against my Kashmiri Pandit brothers and sisters." The prime minister also referred to the 1984 Sikh riots and said the Congress was betraying the people by promising "nyay" (justice).